Tony was appointed Chief Executive Officer of Helicon Health in May 2015, having advised the Board on Strategy and Business Development for the preceding year. 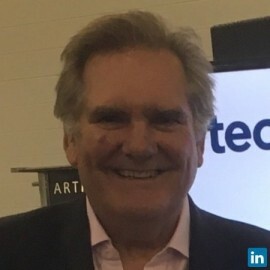 He has over 30 years leadership experience in the Healthcare and Education technology sectors, during which time he founded and led two early stage businesses in the UK and Europe and acted as Business Development Director for Computer Science Corporation Healthcare division. He has a wealth of experience in taking healthcare and education technology companies to highly successful exits with multi-national companies such as IBM, CSC and Discovery Communications. Tony is a Partner at The IT Health Partnership, advising the NHS and suppliers to the NHS and private healthcare sectors in the drive towards joining up digital health and care. His early career was spent at Thorn Software where he developed and ran the London based vertical market division, for which he had full P&L responsibility across Healthcare, Public Sector and Financial Services. Tony is a lead investor in Helicon Health. He is passionate about supporting highly innovative SMEs with provenance and promoting their role in driving economic growth and prosperity.